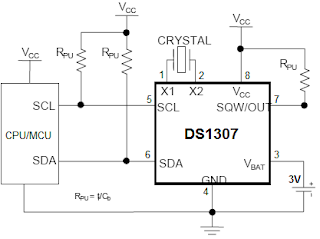 The DS1307 serial real-time clock (RTC) is a low power, full binary-coded decimal (BCD) clock/calendar plus 56 bytes of NV SRAM. Address and data are transferred serially through an I2C, bidirectional bus. The clock/calendar provides seconds, minutes, hours, day, date, month, and year information. The end of the month date is automatically adjusted for months with fewer than 31 days, including corrections for leap year. The clock operates in either the 24-hour or 12- hour format with AM/PM indicator. The DS1307 has a built-in power-sense circuit that detects power failures and automatically switches to the backup supply. Timekeeping operation continues while the part operates from the backup supply. 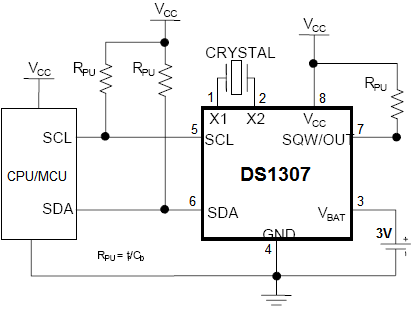 The DS1307 operates as a slave device on the I2C bus. Access is obtained by implementing a START condition and providing a device identification code followed by a register address. Subsequent registers can be accessed sequentially until a STOP condition is executed. When VCC falls below 1.25 x VBAT, the device terminates an access in progress and resets the device address counter. Inputs to the device will not be recognized at this time to prevent erroneous data from being written to the device from an out-of-tolerance system. When VCC falls below VBAT, the device switches into a low-current battery-backup mode. Upon power-up, the device switches from battery to VCC when VCC is greater than VBAT +0.2V and recognizes inputs when VCC is greater than 1.25 x VBAT. application of power to the device, this bit is typically set to a 0.
bit is typically set to a 0.
the device, these bits are typically set to a 1. THIS WORK IS INTENDED TO BE USED FOR HOBBY & LEARNING PURPOSE ONLY. 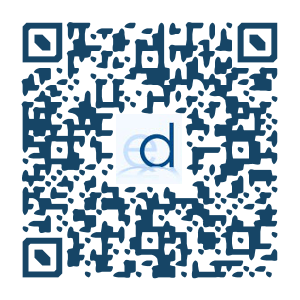 NO PART OF THIS CAN BE PUBLISHED OR USED IN COMMERCIAL PRODUCTS WITHOUT A WRITTEN PERMISSION FROM ELECDUDE.